First, I want to apologize for my lack of posting this week. It has been a hard and stressful week for me due to our son's deployment happening today and I know you guys understand. Next week I hope to share with you my front porch decor and almost finished craft room. Until then, I couldn't let the week end without giving a shout out to the most viewed links of this week's party. First, Marsha at Every Little Birdie with 48 views. 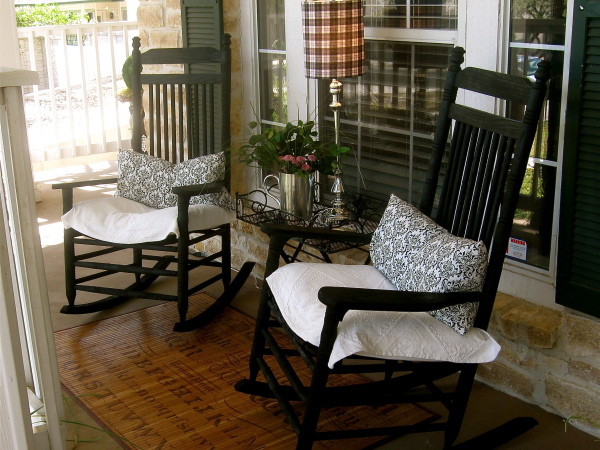 She shared with us her super gorgeous screened porch decorated for Spring. Carol at An Oasis in the Desert had 37 views. Her dinning room looks beautiful all dressed up with the new family treasures she received recently. 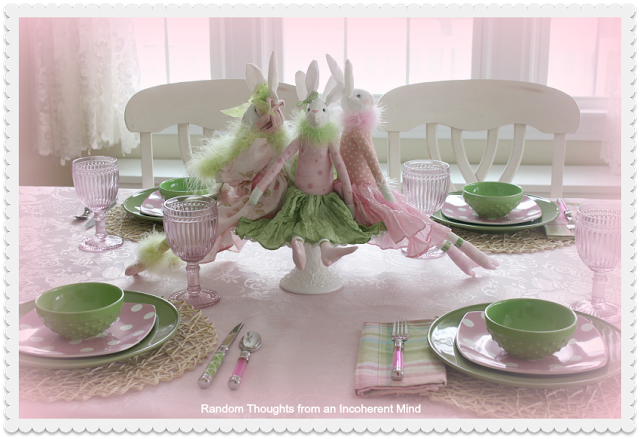 Gina at Random Thoughts put together the most beautiful Easter tablescape. Love, love her Lovely Lady Bunnies! She had 34 views during the link party. Emily at The French Hutch shared with us her so very pretty Peter Rabbit place settings and tea pot. Her post had 31 views. 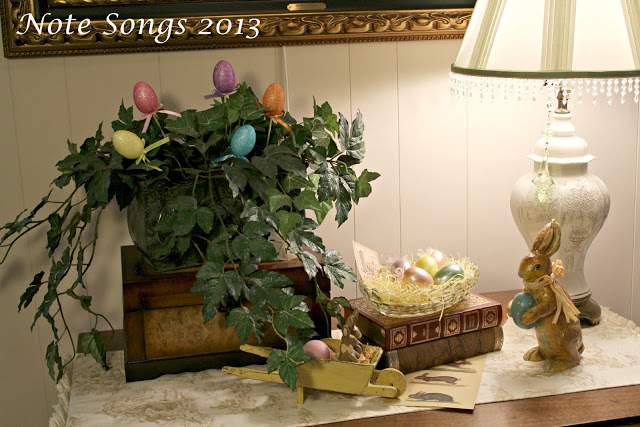 And Shelia at Note Songs had 30 views of her table in the den beautifully decorated for Spring. Thank you all who took the time to participate in my weekly party or came by for a visit. If you were featured, feel free to stop by and grab a "featured" button from my side bar. And before I finish this post, I want to wish you all a wonderful Easter weekend. So glad you could join me this week! I hope you are all having a great Monday. I have been keeping busy doing a little painting and working on this. A new wreath for my front porch. I am so behind on my porch decor this year! I hope to be able to share it soon. Meanwhile, lets have some fun! anything else that you are doing this week. Saturday, I did the grocery shopping early in the morning and after that, my daughter and I went shopping for new jeans. Not my favorite thing to do, the jeans part, I mean, LOL, but we had a great time together. In the evening, we all went to see a movie. We watched "Olympus has fallen". Great movie! It sure gives you something to think about! Sunday, we stayed home, cooked a nice meal and worked on finishing the cabinets and measuring and cutting counters for my craft room. We are almost there! But that's ok. It will help me keep my mind off things. You see, this is a very hard week for our family. Our son's ship is deploying this week for a world tour. This is his first "real" deployment. Me, personally, I am an emotional mess. As parents, it is extremely difficult when your baby tells you on the phone that he will see us again in 10, 12, 14..... months. We don't know when our son will be home again. Please, take a minute to pray for safe sails for our brave sailors and strength for their love ones to endure this very long separation. My Link party will be live tonight at 8:00PM. I hope you all can join me this week. Can't wait to see all your gorgeous projects! This has been a busy week for me, so I am looking forward to a little "off time" this weekend. We have plans to finish my new craft room cabinets, do a little shopping and may be go see a movie. Today, I am sharing with you the most viewed posts of my weekly link party Tuesdays at Our Home #2. 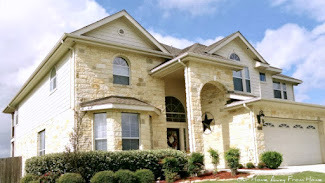 The post with the most views was Angela's from Twelve Oaks Manor. She shared with us her gorgeous Spring porch. Next came Shenita's post from Embellishments by SLR. Her beautiful tablescape is just amazing. 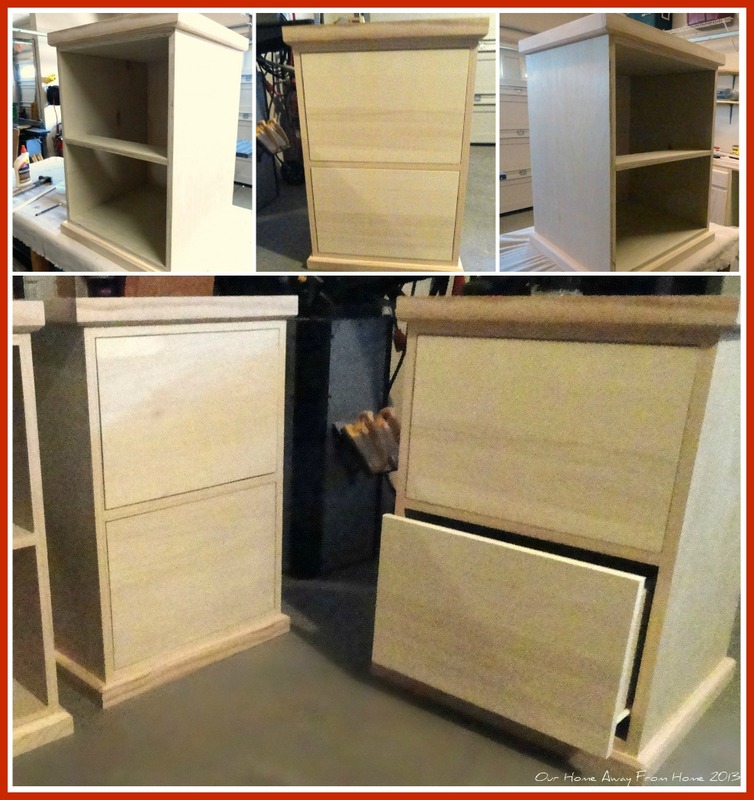 shared with us her amazing credenza makeover. Rhonda, at Ramblings of a Southern Girl gave us a tour of her beautiful home decorated for Spring. 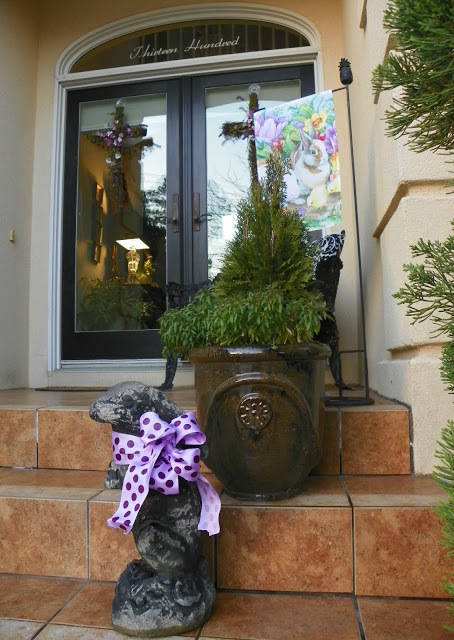 Liz, from Infuse with Liz shared with us her beautiful Easter decor. I love her collection of hand painted eggs! gave us an update of her DIY bookcases. What an amazing project!!! Can't wait to see the full reveal! Thank you so much to all that joined the party or just stopped by for a visit. I really appreciate you took the time to do so. Enjoy your weekend and I will see you next week and Tuesdays at Our Home #3. Until then! 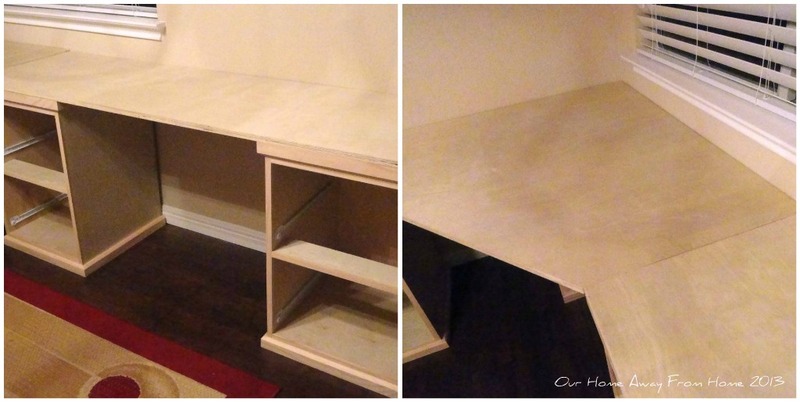 Today, I am sharing with you some updates on what I hope it will be my craft room very soon. 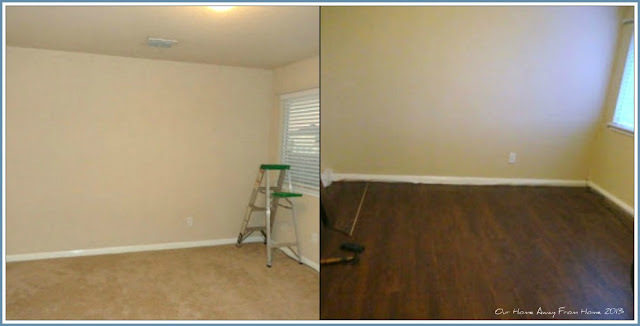 This project has taken us a while since we have made many changes in this room. 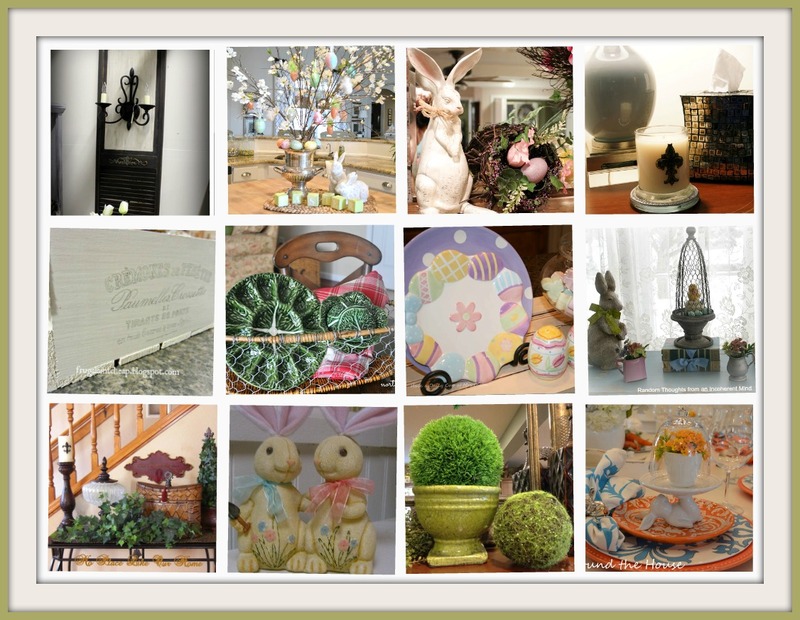 I did start with an inspiration picture from Pottery barn. I knew this was the way to go. The space I am using used to be my son's old room. he sure enjoys more space when he comes home on leave. 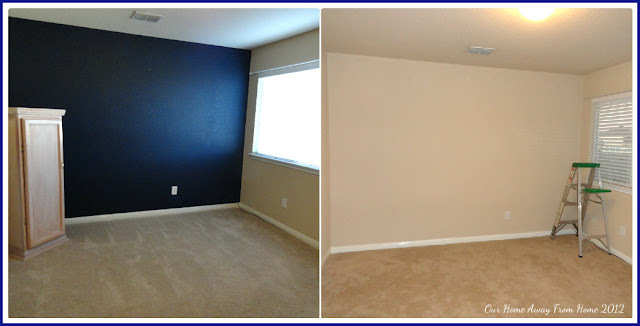 We did start with doing some painting. And when that was done, we replaced the carpet with hardwood floors. Since then, there has been a lot of building going on in this room. 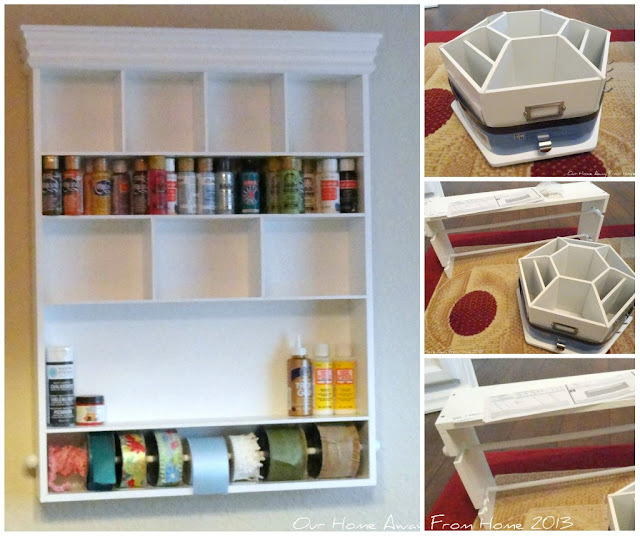 First, my husband built the top shelf and brackets that wraps around the room, just like the PB picture. 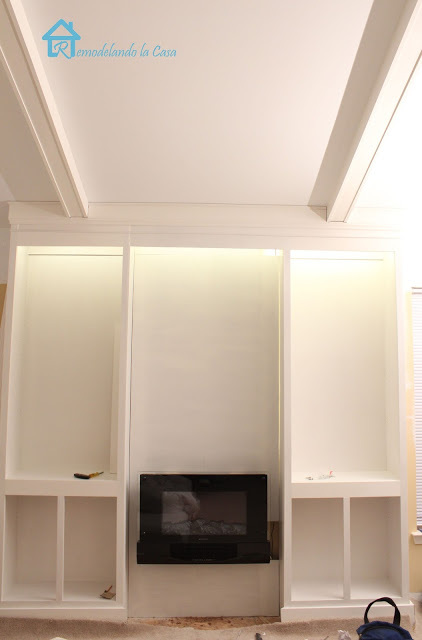 I painted the white cabinet that we used for so many years to store the kids Disney movies. This used to be an Army filling cabinet that my husband brought home about 30 years ago. He cleaned it, added molding to it and built a door and it sure served us well all these years. Now I am using it to store all my craft paper and supplies. You can still see in the inside what it used to look like. 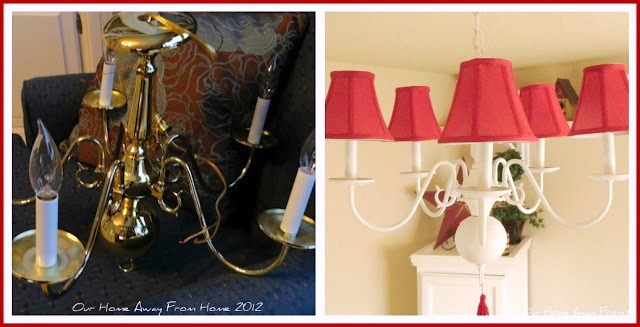 I have also redone a $5.00 chandelier that I found at the Habitat store. Little by little I am organizing my supplies with some wonderful items that my husband bought me for Christmas. And I used another white shelf I had to store my fabric stash. But the best part is, my cabinets and counters are almost finished! My sweet husband has built them for me just like my inspiration picture. Meanwhile, I keep organizing all my supplies and adding little touches to the room. Can't wait to be finished and start enjoying this space! I will be back tomorrow with the most viewed post of Tuesday's link party. Until then, I hope you all have a wonderful day. We really had some wonderful entries, full of beautiful inspiration. Thank you again to all of you that made it possible by linking you fabulous posts or just stopping by for a visit. -Link up anything you want to share with us this week. Today, just a little touch of Spring on my breakfast area. We use this table all the time, so I always have to make sure I use something that can be removed easily, if necessary. I liked this centerpiece because it has the same green flowers I used to make my window wreath in the kitchen. Now I am working on my Spring mantle, which, by the way, it has proven to be a very, very hard project. 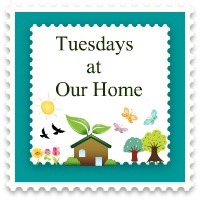 Tomorrow I will be hosting "Tuesdays at Our Home #2". Last week was awesome thanks to your support. Link will be live tonight at 8:00 pm. Hope to see you all there!